For over two decades Matt Lamphere has been creating images in motion. Born and raised in Cadillac Michigan, at the age of 18, Matt started his career in broadcasting as a part-time master control operator. Over the next 10 years Matt worked through various positions and departments (master control, engineer, newscast technical director, audio operator, camera operator, producer, production manager, creative services director) and he found his home in creative services. 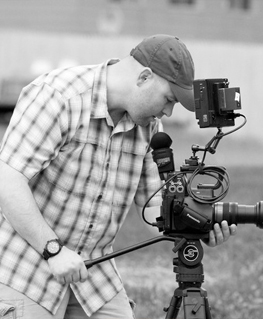 Matt also works on independent feature film projects, documentaries, and larger commercial jobs as a camera operator, camera assistant, sound guy and all around shooter for hire.